Volkswagen is adding a fourth car to its futuristic I.D. line up of concepts. Called the I.D. 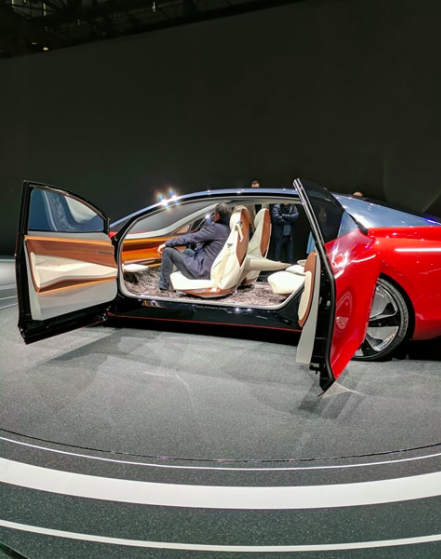 Vizzion, it is a long, low sedan with no steering wheel or pedals and it is meant to show how the company is thinking of a future where all routinely step into a fully electric autonomous car that does work for us, according to The Verge. It is also part of Volkswagen Group’s pledge to add electric motors to its entire line up by 2030. VW alone plans to introduce 20 electrified cars by 2025. Much like the other I.D. concepts, the Vizzion will be relatively powerful and quick. A 111kWh battery pack will help the car last for up to 665 kilometres (413 miles) on a single charge, according to VW. Equipped with dual electric motors, the car had a total power output of 225kW (roughly 302 horsepower) and a top speed of 180 kilometres per hour (112mph). The ‘driver’ of the I.D. Vizzion will be freed from the need to pay attention to the road, and so the importance of the performance specs is debatable. Instead, the driver will be able to join the passengers in enjoying the ride. They will be able to interact with the car’s ‘virtual host’, which can be done either by voice or gesture control. VW says this digital assistant will know ‘the personal preferences of the vehicles guests’ in a way that allows it to adapt the car’s digital ecosystem to each of them. 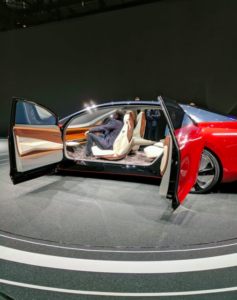 This means that the car will let its guests enjoy their own preferred entertainment, all while having the car dial in the perfect seat position, climate controls and other preferences. With no manual driving controls, VW says a ‘digital chauffeur’ will pilot the I.D. Vizzion. The company has not said which self-driving technology this refers to, though. Volkswagen Group is working on some self-driving technologies of its own through some of its sub brands like Audi. It also struck a deal with Aurora Innovations, a startup founded by former Google self-driving expert Chris Urmson. 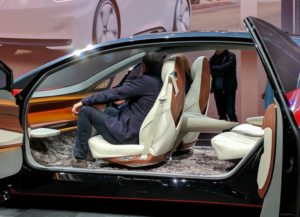 But two companies have only spoken about using Aurora’s tech to power Sedric, VW’s first fully autonomous vehicle concept, which is less like a car and more like an autonomous pod.